Albert Camus. The Plague. 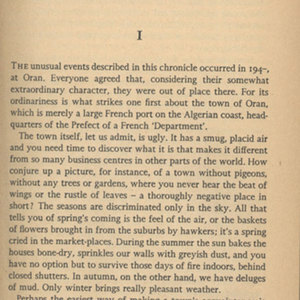 Translated by Stuart Gilbert, Penguin Modern Classics, 1960. 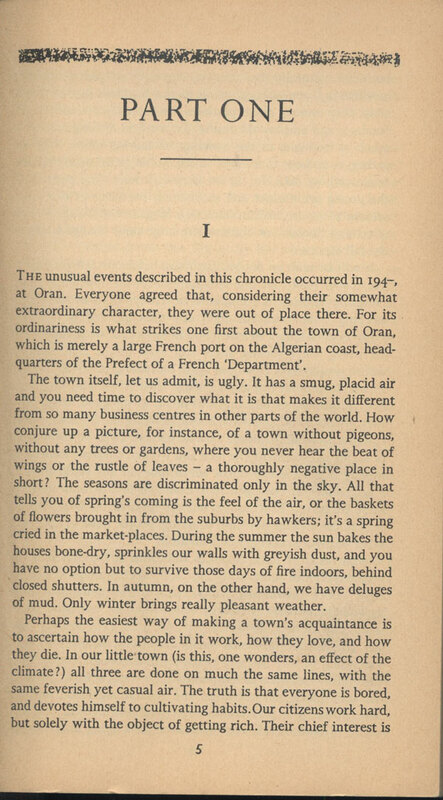 Albert Camus, Stuart Gilbert, “Chapter One of Camus' The Plague,” UVic Libraries Omeka Classic, accessed April 21, 2019, http://omeka.library.uvic.ca/items/show/1101.